You may well have noticed that my writing schedule here at theDiagonal has become a little more sporadic of late. Yes. I’ve been distracted by the needs of my post-truth project — Post*factua!ly. Please stay tuned for this important post-truth, post-factual project; and, normal service at theDiagonal will resume shortly. In keeping with today’s historic (and peaceful) transition of power in the United States — I’m taking time to celebrate the inauguration of… Post*factua!ly. 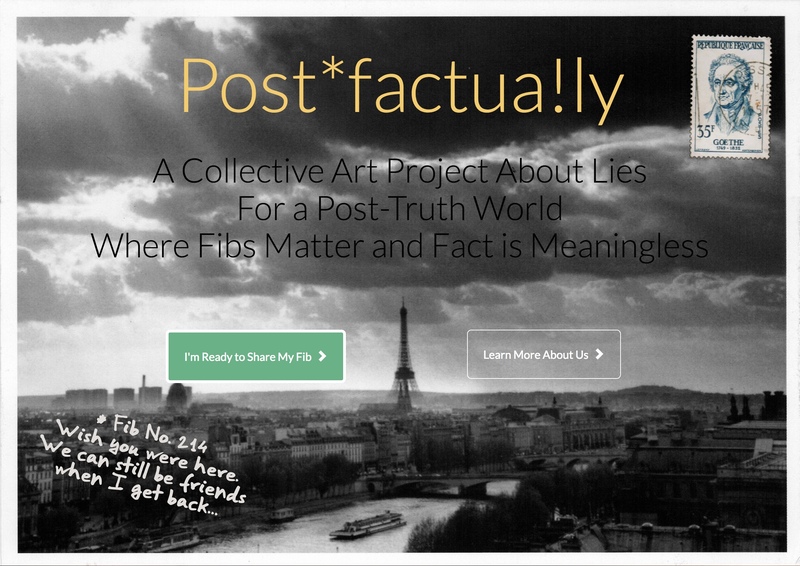 Post*factua!ly is my new social art project aimed at collecting lies, sharing misquotes and debunking facts. How timely, right? We’ve entered a new age where lies matter and fact is meaningless. 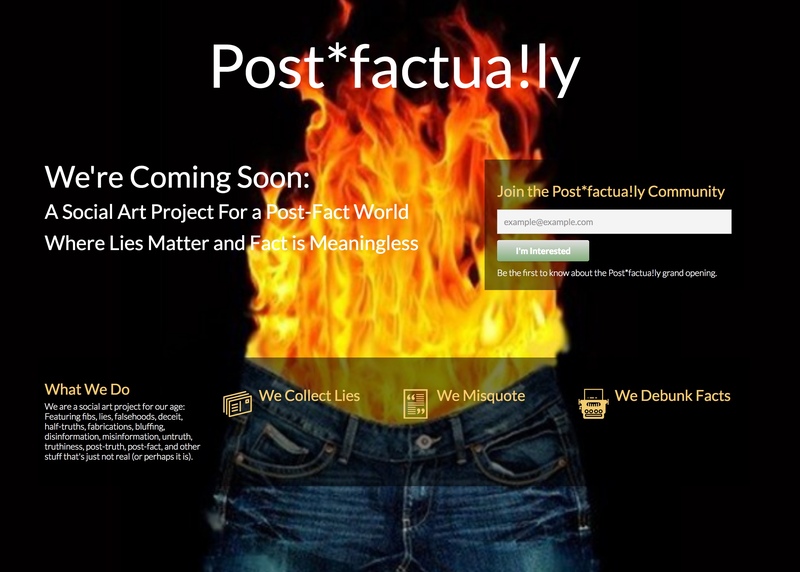 As a result Post*factua!ly aims to become a community focal point — with an artistic slant — for fibs, lies, falsehoods, deceit, half-truths, fabrications, bluffing, disinformation, misinformation, untruth, truthiness, post-truth, post-fact, and other stuff that’s just not real (or perhaps it is). Post*factua!ly will formally open it’s doors by early February. So, in the meantime if you wish to join the community please visit this link, and thanks for giving the world of post-fact and truthiness a chance.